Every Sunday morning, Brick Lane in East London comes to life as vendors sell falafel, bubble tea, vintage denim jackets, used typewriters with Arabic letters (no joke, I almost bought one for £15 one day) and everything in between. The scene is full of the smells of world cuisine, music from boomboxes and voice boxes, the calls of vendors and kids in ripped up jeans sitting on the curb eating a curry. It’s a lively place at the heart of East London’s vibrant and diverse community and attracts all kinds of different people, from hipster kids looking for their next self-indulgent profile picture to tourists and every kind of market enthusiast you can imagine. It’s one of the quirkiest markets in London and has thus far resisted being gentrified and losing its character. 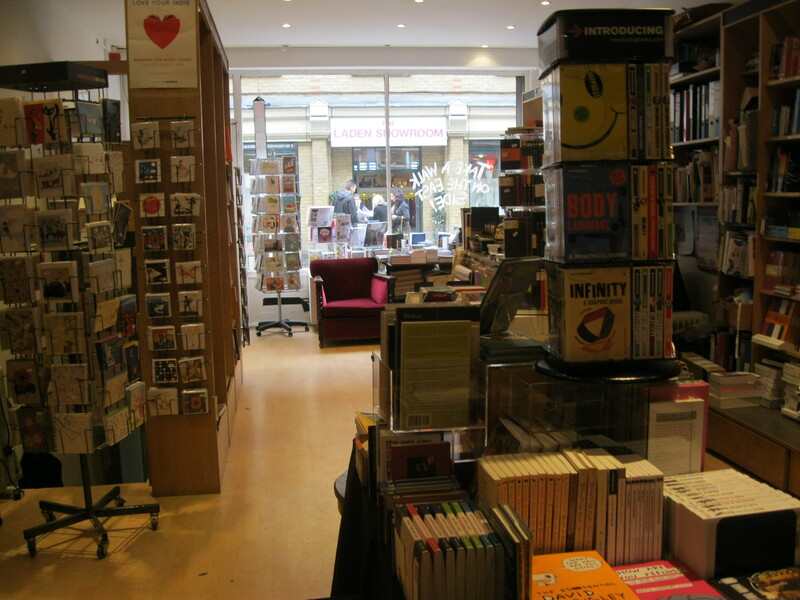 The same could be said of the beautiful independent bookshop that sits in the middle of it all. The front window of the shop invites readers to ‘Take a Walk on the East Side!’ and is filled with books about London, with a special focus on East London and the Spitalfields area. This trend continues inside with an entire wall full of books about London and East London including Iain Sinclair’s Hackney, That Rose-Red Empire, Eddie Johnson’s The Two Puddings, about a pub in Stratford which I’ve heard is both hilarious and touching, and Spitalfields Life, the brilliant book based on the blog of the same name, documenting all the eccentricities of the area and its local stories. 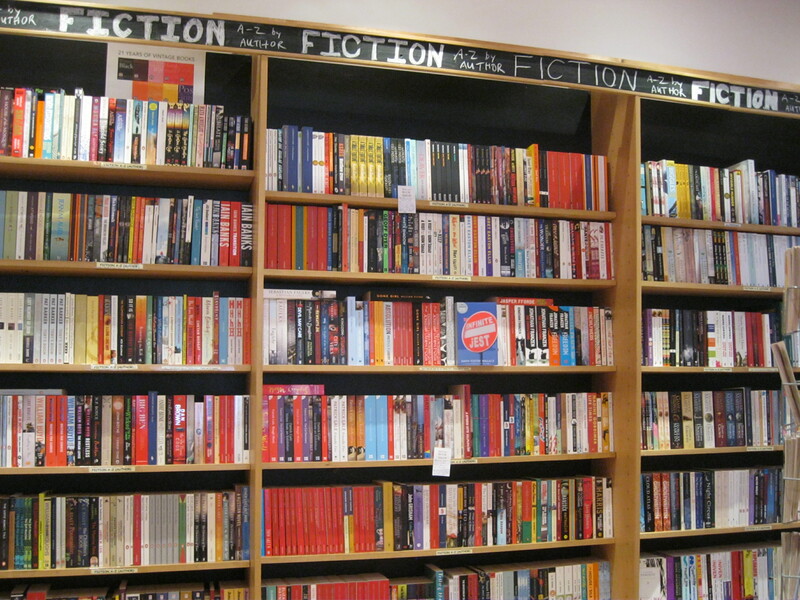 The poetry and fiction sections are excellently-stocked; after a few minutes of browsing I realised this is one of those bookshops where I would not leave until I had inspected every single shelf. In the fiction section I breezed past Calvino, Flaubert, Kafka and Tolstoy (I’ve really been wanting to read more books by European authors lately; English is great, but there’s a whole world out there!) and worked my way through to Z. In the end I bought The Magic Toyshop by Angela Carter. Okay, she’s English. Sue me. It was £7 and I was happy to spend the money for a book I can’t wait to start reading. The selection is wide, varied and most importantly, good quality. No drivel in sight. The books on the shelves are full retail price, but on the ground in front of them are boxes filled with discounted books from £3. And there are some interesting choices in there too! In addition to the discounted books there is a wall full of Wordsworth Classics, which are always about £2. They’re not the greatest editions in the world, but they make great literature accessible to absolutely everyone (they have a children’s selection too), so even if you can’t afford to do more than admire the rest of the books, you have no excuse not to at least support your local independent by buying something when you can do it so cheaply. 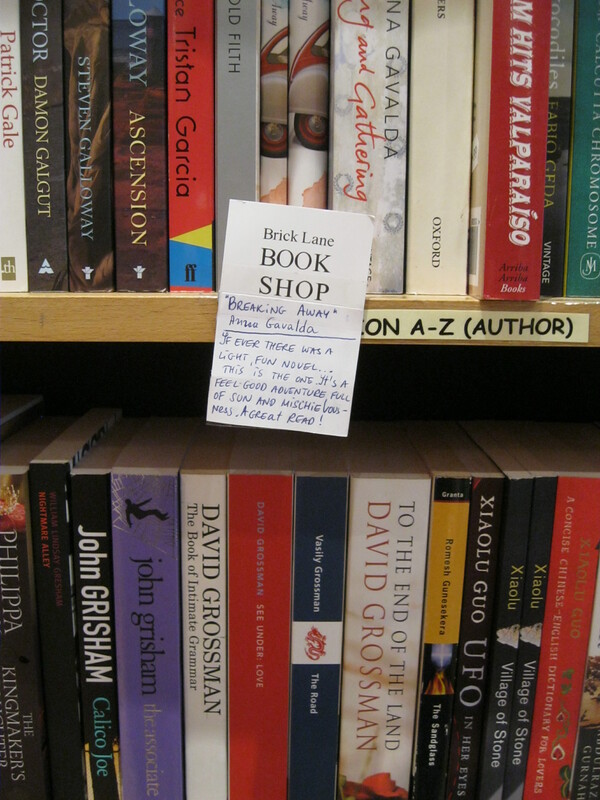 The Brick Lane Bookshop has struck the perfect balance in many ways, with beautiful books you don’t mind paying a bit extra to own, every kind of literary paraphernalia you can imagine, from mugs to notebooks to cards, and then the deals and cheaper editions for those who can’t always afford the good stuff but still want a fix. In other news, it’s possible that I use metaphors of drugs and addiction to talk about books a little bit too often. Another thing I love about this bookshop is that it embraces the strangeness, the quirkiness and the niche interests of the community of which it is such a central part. In addition to books about Spitalfields itself, it has books for all the weird and wonderful people who live there. There is a ‘Cult Sci Fi’ section and though I hadn’t heard of a single book or author represented in it, each book looked better than the last. 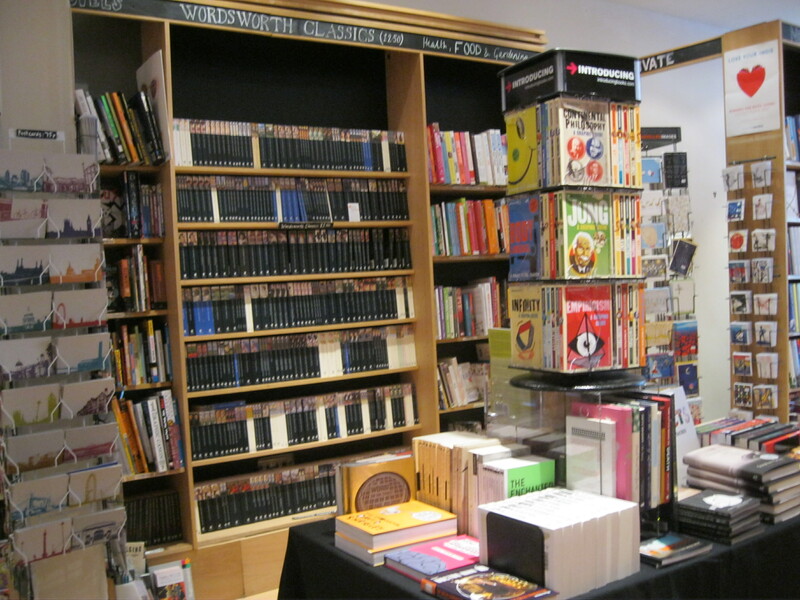 The cookery section reflects the international community of East London. 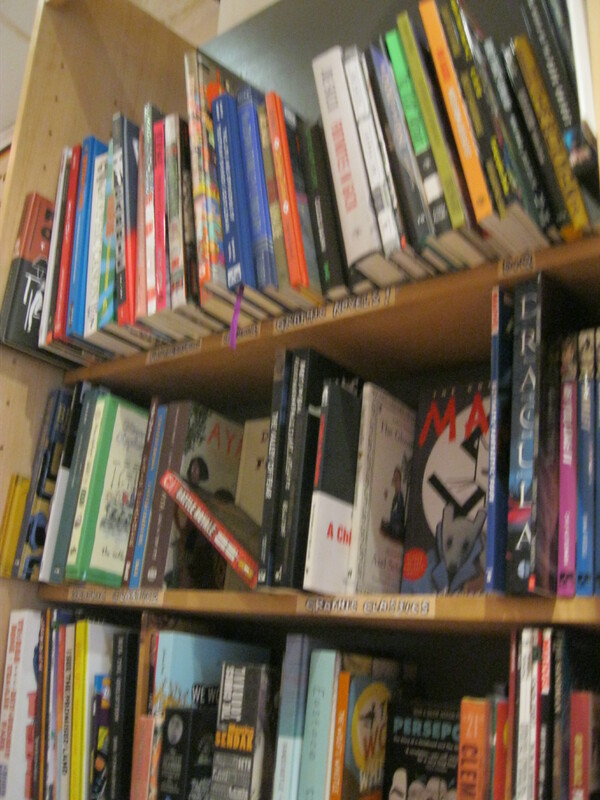 Comic books and graphic novels get a much larger selection than in most other independents or chains, which is brilliant. As this art form becomes more and more mainstream and authors learn ways to make the most of it, we are going to have to start appreciating it as a serious and interesting genre. 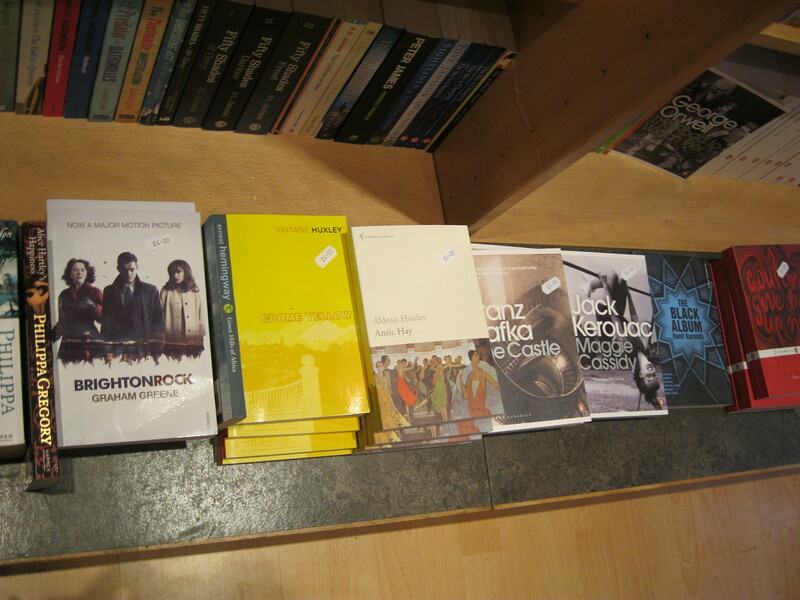 Unfortunately, chains often have only a small selection of the same old books and most independents don’t bother at all. There’s not anything wrong with that per se, but it’s nice to see an independent that’s fully jumping on board. prevented by many impediments from returning to that it has quitted. And on that note, go forth. Read. Take a walk on the east side. This entry was posted in London and tagged Amazon, Angela Carter, bargain books, book-hunting, books, bookshop, bookshops, bookstore, bookstores, Brick Lane, Brick Lane Bookshop, Charlotte Bronte, cheap books, children's books, comic books, cookery, East London, Eastside Bookshop, fiction, graphic novels, Hackney That Rose-Red Empire, I Hate Amazon, I hate Kindle, independent bookshop, independent bookshops, independent bookstores, Jane Eyre, kindle, literary gifts, literature, London, London bookshops, market, poetry, reading, Spitalfields, Spitalfields Life, The Two Puddings. Bookmark the permalink. It’s been ages since I’ve been to this one – I must go again sometime! Nice. Enjoyed it a lot. I did love Jane Eyre. I think I’ve read it twice but it’s been a while. At this point it might seem an entirely different experience. As one of my favorite bloggers and a follower I wanted to let you know I’m working on a URL change. I’m hoping it goes smoothly. I will get the new one to you. Yet another gem to explore when I next travel to London. The Jane Eyre quote is right on. I’m interested in the note cards they sell. As a collector of not only books but special notecards, I would love to see what notecards I could purchase from the store. 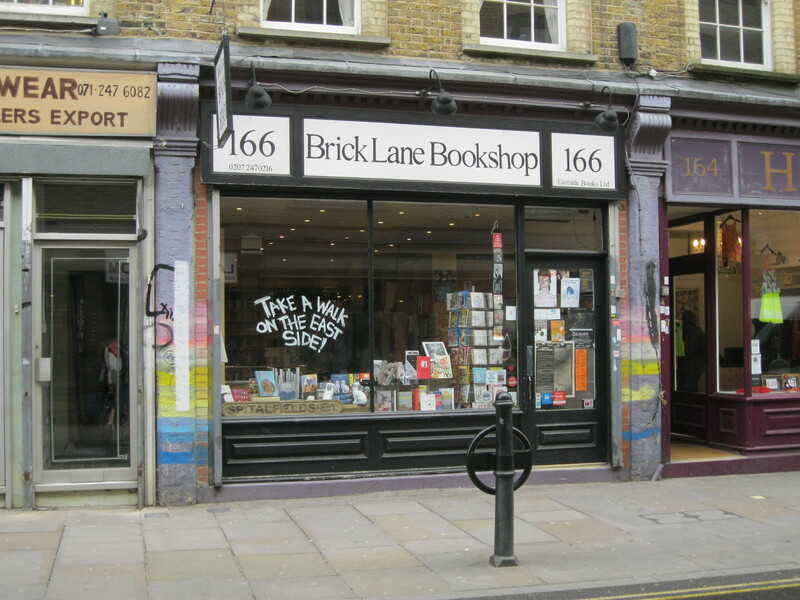 What a super name for a bookstore…Brick Lane. I loved The Magic Toyshop when I read it for A levels at school. Enjoy it! Books + falafel + bubble tea = coolest place ever! Time to find a cheap plane ticket to England. 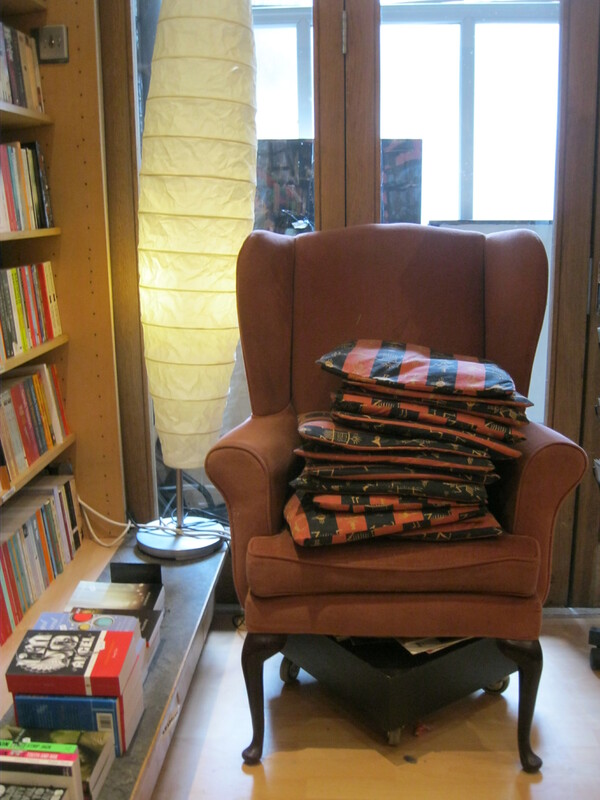 Are they cushions or quilts on the chair at the back of the shop? For what is a good book if there’s not an equally enticing quilt or rug to snuggle under while reading ? Another great post. I bought a copy of ‘Journey through a Small Planet’ by Emmanuel Litvinoff here. It’s a brilliant evocation of the Jewish East End in the early twentieth century, when Brick Lane was the haunt of ‘herring-women … plunging their chapped and swollen fingers into the open barrels of pickled fish’. That sounds fantastic! I love their stock of East London books; it’s definitely needed as this area has such a rich history that I’m always learning about. For some reason, all the interesting influxes of people seem to happen in Shoreditch and Spitalfields area and every time I think I know the story of the East End, some new aspect of it comes to light! Pingback: Praise Sunday: Best Blogs — May 12th | I am a heathen.